If this doesn't come true, then it's a missed opportunity. American Horror Story: Cult has come out all guns blazing and fans are starting to form their very intricate theories about the characters and where the storylines are all heading. One of those theories involves the true identity of Ally (Sarah Paulson) and Ivy's (Alison Pill) young son and you're going to be shook that it never even crossed your mind. 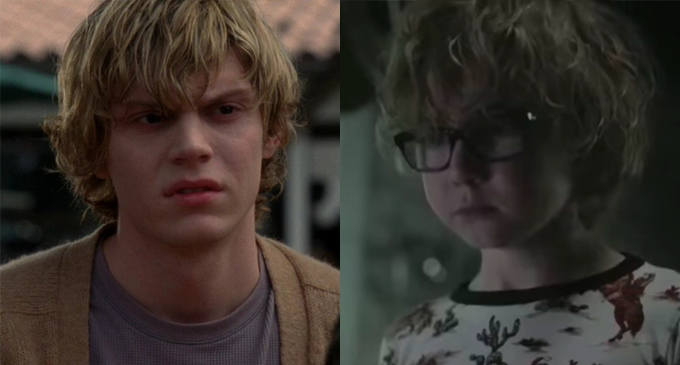 The theory was put forward by Reddit user beardedfemme who suggested that Ally and Ivy's son Ozzy is actually Michael Langdon, Tate and Vivien's devil spawn baby from Murder House who was left in the care of Jessica Lange's Constance Langdon. "WHAT?! 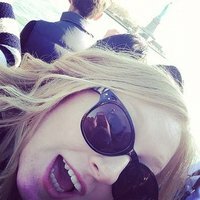 THAT MAKES NO SENSE," we hear you cry but the entire thread of comments on the post makes some pretty good points on how the whole thing could be plausible. Let's throw it back to Murder House, shall we? Michael was born in early 2012 and Cult is set in later 2016, which would make him four years-old, maybe almost five. At first glance, Ozzy looks and acts WAY older than that but, as beastboi27 points out, Michael is no ordinary kid. He was born three months early looking like a fully developed baby (while his twin brother sadly passed away.) It's entirely possible that Michael's ageing process is different to "normal" kids. So if Ozzy IS Michael, how did he get from Los Angeles to Michigan and what the bloody hell happened to Constance between 2012 and 2016? Assuming that Ally and Ivy adopted him, something could have happened to Constance (either death or something that meant she had to flee LA) resulting in Michael being put up for adoption, or being passed to another family member aka Ally or Ivy. Lastly, while he doesn't actually look like the Michael we saw at the end of Murder House, he TOOOOOOTALLY looks like Tate Langdon. In fact, Oz has been wearing outfits that bare a striking similarity to some of Tate's most iconic looks too. That scruffy blonde hair? Please. Tate 2.0! Considering this IS American Horror Story we're talking about, it wouldn't be too wild to throw that kind of plot twist into the mix. But as much as we love it, it's probably not going to happen. Mind you, the constant dialogue about how Ozzy doesn't know who gave birth to him and the fact that he's so chill with clowns, death, blood and regularly surfs the dark net at night... he's obviously not your average innocent suburban kid, is he? Even if it doesn't happen, someone better hire the fans on Reddit who wrote this theory because this is GENIUSSSSS!